Following Bob Day’s resignation from Parliament, Attorney-General George Brandis has spoken of his frustration after revealing he hired Senator Day to build some bookshelves in his office. When reached for comment outside of his home, Senator Day tried to escape The (un)Australian, and when asked if he felt shame at leaving a job half done and invalid, Senator Day replied: “Leave me alone, I’ve done nothing wrong, I’m not a shonky builder, that bookshelf deserves it’s place in parliament and I don’t care what the high court says, now go away. 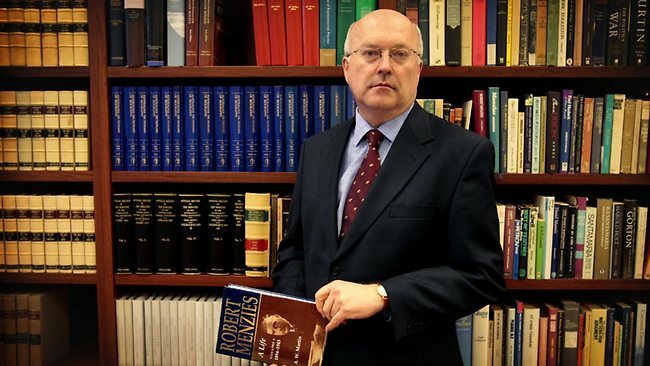 Building maintenance located within the offices of the High court will inspect Senator Brandis’ bookshelves to ensure they conform to the constitutional requirements of parliamentary office furniture. As for Senator Day he is tipped to appear on A Current Affair soon as a dodgy Adelaide builder accused of fleecing his clients.